Fortnite Getaway Limited Time Mode will be returning to the game, according to a hint from Epic Games and challenges found in the game's files. The Getaway LTM was first introduced in September. The Getaway LTM was teased by Epic Games through a tweet, using emojis to refer to the event. ​The event tasked ​Fortnite players with players attempting to steal and deliver very expensive jewels. They needed to jump into a Getaway van and escape in order to win. 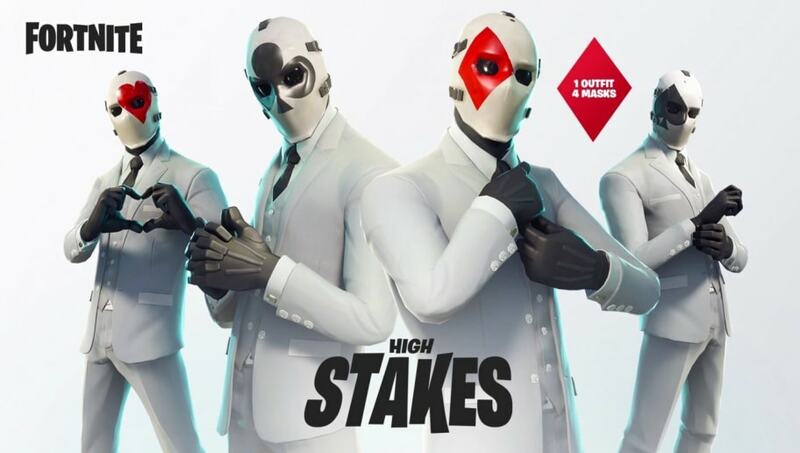 The event also featured the Wild Card skin, which had four different masks. Each mask is based off of one of the four suits in a standard pack of playing cards. In the ​most recent Fortnite update, fans discovered Getaway challenges in the files. ​​There is no known date yet for the LTM, but if it was included in the newest patch, fans might not wait that long to play it.